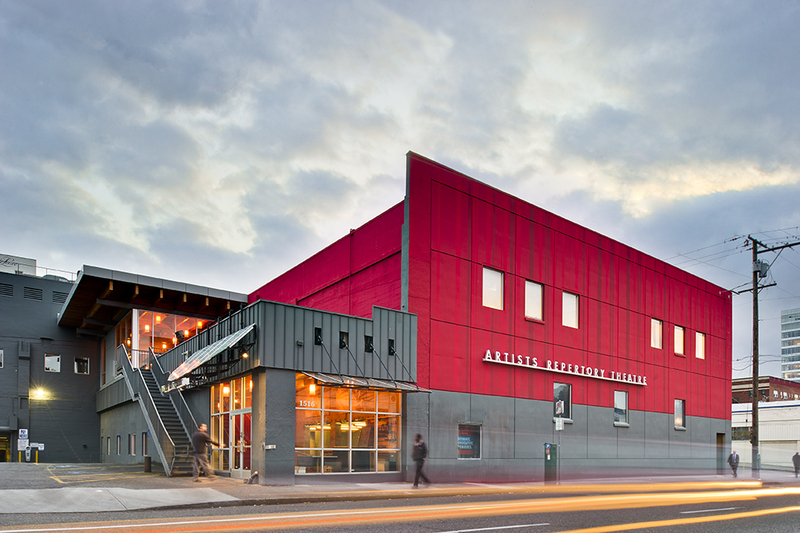 Artists Rep is a collection of three separate buildings spanning an entire city block. 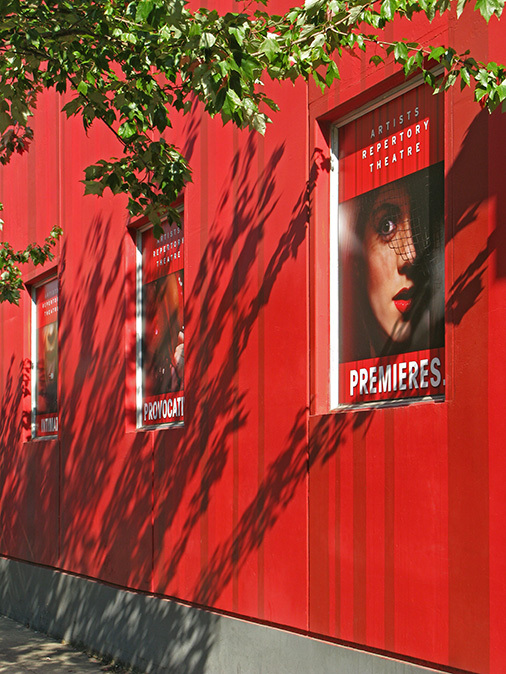 We were asked to create a design solution that would visually integrate all three buildings into one coherent whole that creates a branded presence for a theatre company with very little street presence. 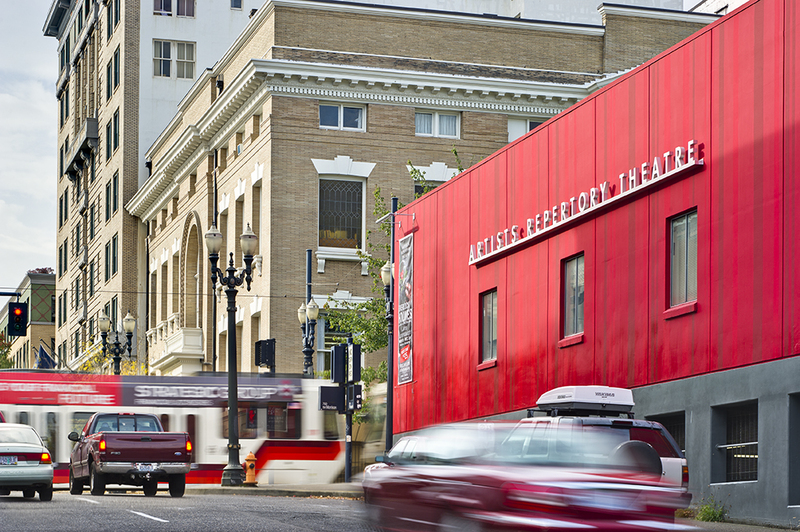 The painted stripes are a graphic abstraction of the red curtain on the A.R.T. stage. The exterior became so associated with A.R.T. that is evolved into the cornerstone of all their branding, posters, in print and on-line and has remained so for ten years.